The accounts of the US Embassy in Sofia in FIBANK (also known as First Investment Bank, Fibank or FIB) are closed. The new service bank is DSK. This transpires from the official visa application and information page, which lists fee payment options for US visa applicants. For years, the accounts of the US Embassy were at MKB Unionbank (see here). Once First Investment Bank acquired MKB, the accounts automatically moved to the already-branded as FIBANK financial institution (see here). But it seems that this arrangement no longer suits the Americans. Meanwhile, FIB was rescued from collapsing with State money, and the official stress tests conducted by the central bank – the Bulgarian National Bank (BNB) – found a capital shortage of BGN 200 million. The Bank claims that this 200 million shortfall is already covered by the 2016 profit and just announced it would be looking for “strategic options”, including the possibility of attracting new core investors, whatever that means. “Some institutions warrant close attention, including one systemic bank,” according to the executive summary of the report. In addition to the announced stress tests results, there are BNB reports on the state of FIB from 2011 and 2014. They contain information on a much more serious capital hole that exceeds BGN 1 billion. Such are also the figures established by Bivol’s research in the database of registered pledges in the Commercial Register. Over BGN 1.2 billion have been granted in the form of loans, for example, to the unemployed Cypriot Georgios Georgiou, who emerges as the largest investor in Bulgaria and the largest bank debtor. Another sign that the United States is severing all ties with the Bank is the fact that the end of BH Air‘s plans to have regular flights to the United States was announced in March. For years, advertisements for BH Air’s upcoming direct flights to New York and Chicago were flooding the media at regular intervals, but these aspirations flopped. The official version is that the Americans have cut off the company because it does not meet security requirements, as a company representative told BITelevision on March 23, 2017. At the same time, the Embassy was closing its accounts in FIBANK. BH Air is run by Radka, the wife of one of FIB’s majority shareholders, Tseko Minev, and the property is shared between the Cypriot offshore Mantovaco Limited, owned by Georgios, and a Liechtenstein company, to which the same Georgios sold his stake in a company, owned through Wilcannia Limited in 2016. BH-AIR has the two registered private jets that serve FIB. These are Gulfstreaaircraftts with LZ-FIA and LZ-FIB codes. Georgios is the owner of Mantovaco, which owns 49% of BH Air through Balkan Holidays Services Ltd.
As evidenced by a series of Bivol investigations, Georgios is associated with Tseko Minev and the other FIB majority shareholder Ivaylo Mutafchiev (AKA agent “Kamen” from the Communist regime’s secret services). In fact, he serves as their cover as the Credit Institutions Act prohibits owners from directly obtaining credits that exceed 10% of the bank’s equity. In the case of the loans in the amount of BGN 1.2 billion, received by Georgios, the excess is over 200%, but the BNB and the prosecutor’s office are closing their eyes to it. For the Americans, however, connected lending is a criminal scheme, as surfaces from an analysis by former US Ambassador in Sofia, John Beyrle, sent to Washington in a secret cable about banks “bad apples” in Bulgaria. Beyrle’s cable is from 2005, but evidence of links of Tseko Minev and Ivailo Mutafchiev, the so-called “People from FIB“, with the murkier criminal realm, came to light through the “Yaneva Gate” recordings and the investigations by Bivol into the stolen millions in European funds from the Romanian APIA agency. The main protagonist in this affair, investigated by the Romanian National Anticorruption Directorate, formerly National Anticorruption Prosecution Office, (DNA), is Mila Georgieva, ringleader of the organized crime group “The Killers”. She has also received loans from FIB, while Ivaylo Mutafchiev personally sold an apartment to her. With such evidence of intertwining financial and criminal interests, it is not surprising that Washington has found grounds for discretely getting rid of the Bank and halting attempts to legitimize its draining through a business linked to America. 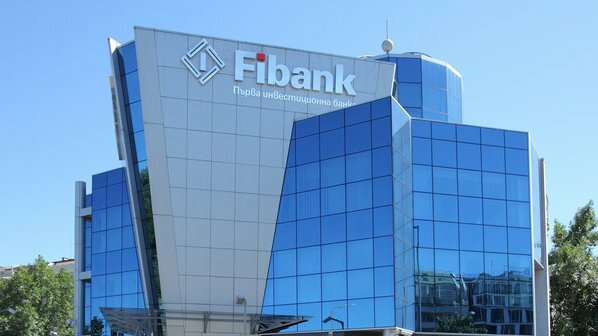 In Bulgaria, FIBANK enjoys a cover-up by the Prosecutor’s Office, whatever irrefutable evidence of its draining may be revealed. The Prosecutor’s Office established the disappearance of 80 million from the Bank into offshore companies belonging to Georgios, but decided that this had not caused any damage to FIB and accordingly refused to launch pre-trial proceedings. At present, the power and the BNB continue to use tricks and manipulations to conceal real evidence of the capital hole and the draining of FIB. The situation resembles the joke about a man whose mother-in-law died, but he kept her body propped on the window to continue to receive her pension from the postman. However, the US moves show that the stench of the corpse has already reached the windows on “Kozyak” street (location of the US Embassy in Sofia – editor’s note) and has become unbearable. It is known that the American postman “always rings twice”. The first time he closes his accounts with the “banksters”, the second – his airspace. It is a mystery for us how visa payments were made to Unionbank and FIBANK until March 2017 if the US embassy had no account and contractual relations with these banks. Account numbers are clearly visible on the copies of deposits slips used by thousands of Bulgarian citizens to pay for visas at the bank counter. It is possible that these were correspondent accounts, but certainly, the money had not traveled in briefcases or leather pouches to the US Treasury. With or without accounts, it is undisputable that the Embassy has ceased all business relations with FIB and, at the same time, its airline has been refused flights to the United States. BH-Air has all necessary permits to carry out direct commercial passenger, cargo and mail flights between any point within the European Union and the continental territory of the United States, Hawaii and Alaska, respectively, effective from April 2013 to date. Information on this can be accessed freely in the official US administration database. The decision to start flights between Bulgaria and the United States can be made only on the basis of economic expediency at the discretion of the airline. Yanko Ivanov: Well because they no longer let us there. Host: Why they no longer let you there? What does this mean? Yanko Ivanov: Well, security, all sorts of other conditions… (not clear) that we simply do not meet in any (not clear) all these requirements. Host: When will we be able to talk about direct flights at all? Yanko Ivanov: Well, I have no idea. Nothing is happening at the moment. Over the years, BH-Air has been presenting flights to the United States as its primary goal, as evidenced by Yanko Ivanov’s media appearances (here – in Bulgarian), and it was announced several times that flights will begin – first in 2015, then in 2016.